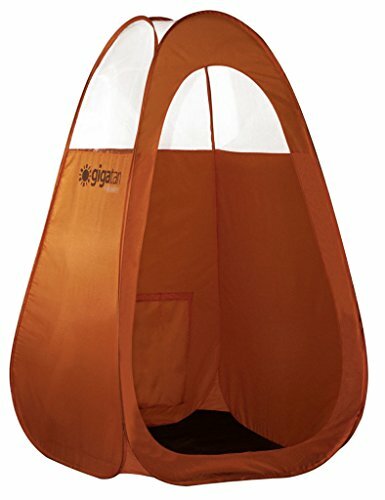 The GigaTent spray tanning POP up tent is an easily portable room you can take anywhere! this clever design is very easy to use. Simply POP open the tent and in seconds you will have your very own spray tanning booth. This tent is geared for professional tanning salons, as well as home-use tanners. It's the perfect containment system for the mobile airbrush technician on the go! at only 4 lbs, anyone can easily transport it. Our tanning tent uses a Heavy duty waterproof floor and is made of a strong steel frame. The tent features large windows so light pours in. It also boasts an opening on the back to add a fan for extraction (fan not included). Zippered carry bag is included. If you have any questions about this product by GigaTent, contact us by completing and submitting the form below. If you are looking for a specif part number, please include it with your message.